The campaign led to a community event that celebrated the “overturning” of a permitting law. Country Time Lemonade noticed a pain point among its consumers over the summer: Kids across the country were getting busted for setting up lemonade stands. Yup, you read that right. The time-honored tradition, often one of the first ways children learn about entrepreneurship and business, actually violates local laws in some municipalities that require a proper permit. So, Country Time took action, creating the Country Time Legal-Ade campaign, a fund to help aspiring lemonade sellers apply and pay for a permit or, if families had already been slapped with a fine for engaging in this renegade activity, receive reimbursement. Country Time’s campaign would eventually lead to a community-wide event celebrating the “overturning” of a local permitting law by one family. But more on that in a minute. To apply for assistance, consumers visited countrytimelegalade.com, uploaded a photo of the permit required for operation and detailed why they wanted to run a lemonade stand. The brand reimbursed families with up to $300 for the permit or fine received. The site received more than 450 registrations and garnered 80,000 unique views over the course of the summer-long program. The campaign’s “legal team” was made up of Kraft-Heinz staffers and collaborating agencies, but the brand shared a video on the campaign microsite that featured actors posing as “a crack team ready to straighten out lemonade stand-related permits and fines.” Nice. When a Denver mom and her three boys were forced to shut down their stand at the Denver Arts Festival over Memorial Day weekend (after nearby vendors complained), she set out to overturn the law. 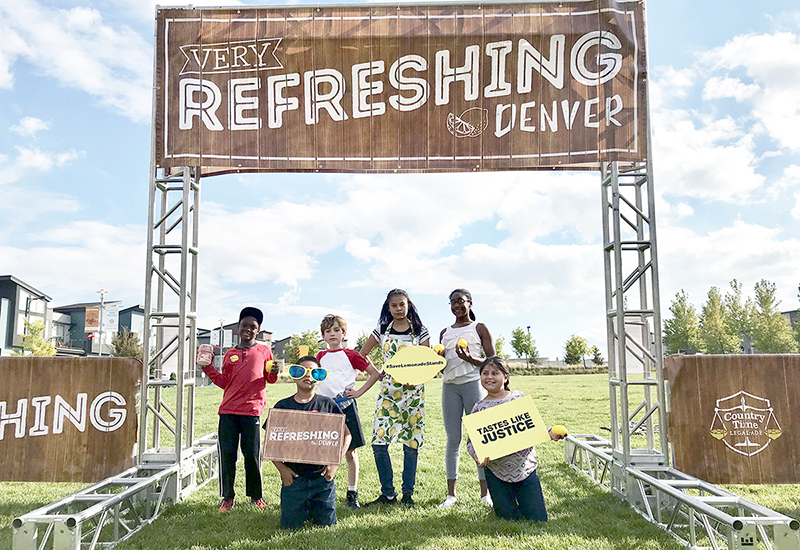 Her efforts were successful, and as of September children under the age of 17 can now operate beverage stands in the Denver community of Stapleton that serve lemonade, tea, coffee or hot chocolate. Country Time had followed the case and promised via Twitter to celebrate with the community of Stapleton if the law was overturned. So, a few weeks after that occurred, the brand held a free event on Oct. 6 for local families at the Stapleton Community Center green. 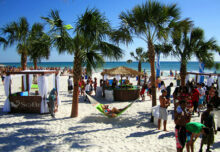 Getting the word out about the event required word-of-mouth marketing within the tightknit community. The Stapleton Community Center sent out an email blast on Country Time Lemonade’s behalf that included copy provided by the brand, and flyers were posted throughout the neighborhood the day before the event. 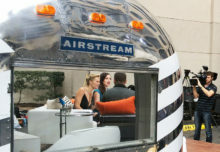 The brand also created neighborhood Facebook pages to share all the details. 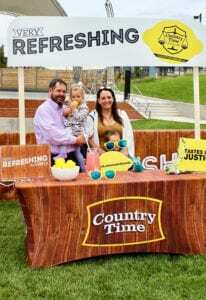 Activities on-site included a bounce house, lemon-themed face painting, a photo op that encouraged attendees to use the campaign hashtag #savelemonadestands, cheeky signage with phrases like “Tastes Like Justice” and, of course, plenty of Country Time Lemonade. 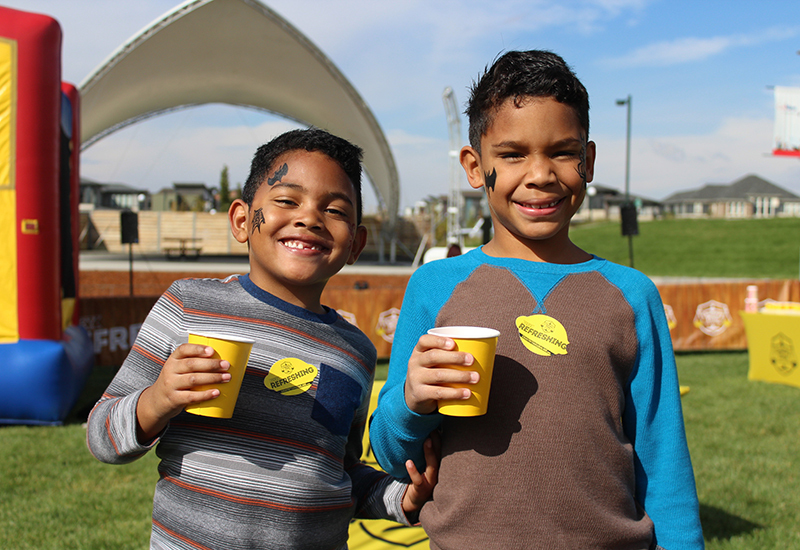 “It was about celebrating lemonade stands on a larger scale, since now kids all throughout Denver are going to be able to run them in advance without having to worry about permits or fines moving forward,” Mills says. The Country Time Legal-Ade promotion ended Aug. 31, but the brand has been working on next year’s “Legal-Ade” cases: For every share that the campaign received on social media this summer, the brand pledged a dollar toward the next fund. Now that’s making lemonade from lemons. Agency: Marketing Werks, Chicago. Activities on-site included a bounce house, lemon-themed face painting, a photo op and cheeky signs.